Loving the silk – that seems like it has been woven in or pasted onto the white base cloth! 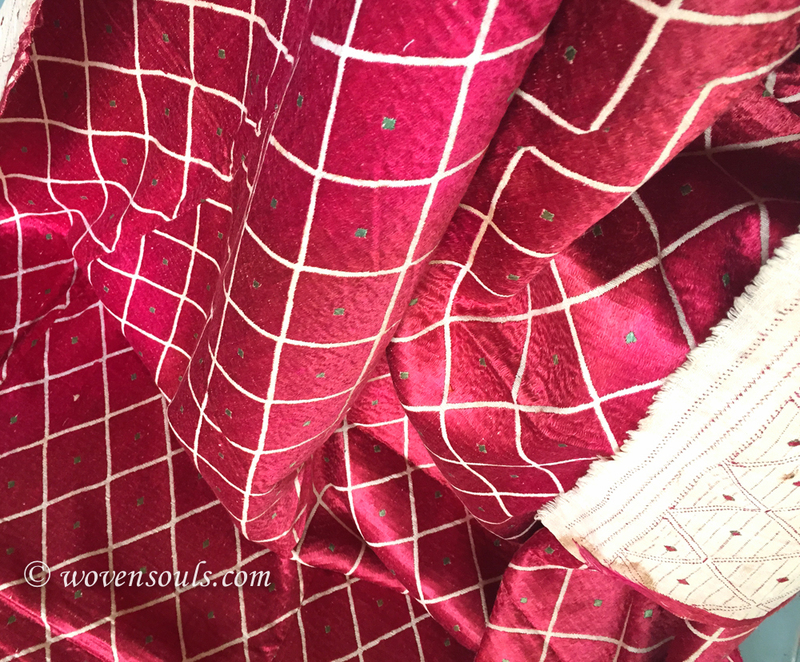 Feeling like Maria in Hollywood film ‘The Sound of Music’ – “Somewhere in my youth or childhood – I must have done something good” to have to fortune of such a stunning textile! 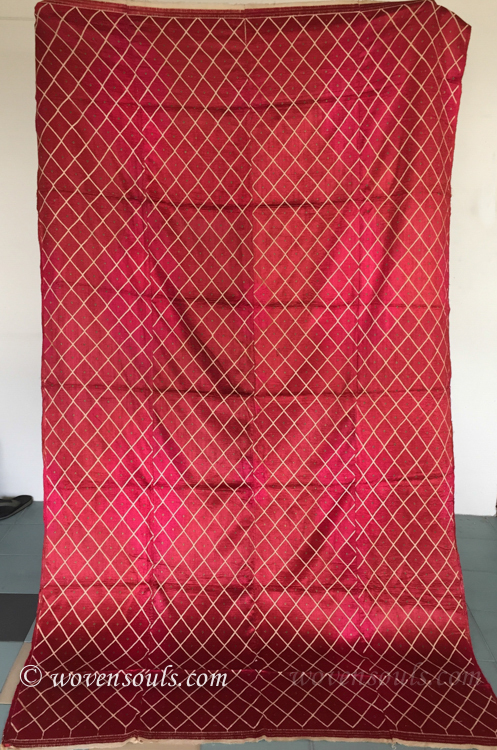 This entry was posted on July 28, 2015 by wovensouls in Art Kaleidoscope, DAILY ART FIX and tagged antique bagh, antique phulkari, bagh phulkari, bridal, bridal textile, hindu phulkari, thirma, thirma bagh, Wedding, wedding bagh, wedding phulkari, wedding shawl, wedding textile.